Cultural changes worldwide mean that past conventions of brand building have shifted. An outside-in approach to branding and marketing no longer works. Self-awareness, and a more conscious and authentic approach to branding from the inside-out,is now critical for businesses who want establish connection and make a real impact. We call this conscious branding, and this workshop is the first step in becoming aware, awake and intentional towards your purpose. Purpose-driven business is about leveraging your purpose to visualise and create the future you want, rather than assessing the external environment to identify a way for you to win. It’s a completely different mindset that requires a different approach. Uncover and learn about the deeper values and purpose of your business using our specialised Uncover Tool + other activities designed to dive deep into your brand and unique value. Lift the hood on your authentic brand and discover the emotional benefit you provide in order to start driving your brand forward. Business owners and leaders who are responsible for guiding company purpose, vision and culture. If you need clarity on your purpose or ‘why’, want to drive change, or are unsure how you can add value and authentically serve your customer + community beyond a function, this workshop will provide you with the understanding and tools to dive in. This workshop is best suited and most valuable to businesses who have employees. Read about a CEO who needed brand clarity in order to drive change in his industry. Workshops are intimate and focussed solely on your business to ensure proper understanding and a personal approach. Up to 4 people from your business are welcome to attend. Workshops are 3hrs and available Wed-Fri 9.30am-12.30pm at Innx.hub in Newcastle, or we can come to you for an additional fee. Book online and use member code CCANZ to receive your member benefit. Additional $550 inc GST to cover travel if outside of Newcastle, NSW. Workshops are limited to only 1 workshop per month at this price for CCANZ members, first in, first served basis. 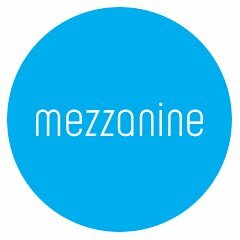 This offer has been provided to members by Mezzanine. Enter your details below and Mezzanine will be in touch with you to arrange a workshop.